The story of Jesus encounter with the Samaritan woman is one of my favorites. I love it because He is doing what He was sent to do, regardless of where it took Him. There is a long history of animosity between the Jews and the Samaritans. The question she asks Jesus captures this history and immediately sets up a barrier between them. 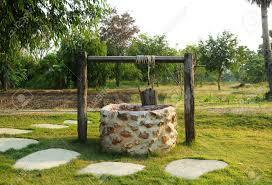 But Jesus dispels that history with His presence there at the well and His conversation with her. He has something to give her that is greater than anything she has ever experienced, and He wasn’t going to allow man’s disputes to get in the way of God’s work in this woman. Jesus created an atmosphere of love and compassion, showing His willingness to reach beyond man made boundaries to pour life into a thirsty soul. His focus was on the woman’s need, and the needs of her whole village. He didn’t consider how it would look that He was conversing with a Samaritan and a woman alone. He considered the universal need of human beings for something that was real and that would last forever. His radical love forged a path no one had ever walked, straight into the hearts and souls of a hated people. This is God.